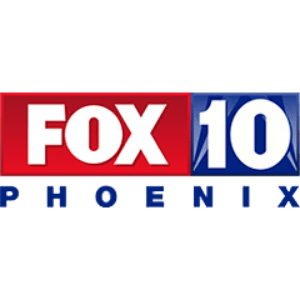 SHOWCASED ON ARIZONA'S FAVORITE NEWS STATIONS! GreenPharms cultivates Medicinal Marijuana that is among the best in the industry, with a vast selection of products made in-house. No two patients are the same, you will always have an overwhelming amount of choices when visiting The Pharm. As the Cannabis industry is evolving more and more every day, GreenPharms strives to stay ahead of the game by consistently researching new techniques and developing the highest quality meds possible. This component is responsible for the euphoric and psychoactive effects of the plant and as such, is the most sought-after compound in cannabis. THC has excellent pain relieving effects for patients undergoing cancer treatment or suffering from chronic pain. Second to THC as a powerful cancer fighter, CBC is a non-intoxicating compound known for its potential to inhibit the growth of new cancer cells. A more rarely spoken about benefit is the positive effect it has on brain cells and the likeliness of decreasing the chances of Alzheimer’s disease. THCa is a relatively newly defined compound, with potential benefits from the treatment of neurodegenerative diseases to relief from anti-inflammatory diseases like arthritis and lupus. Also seen as an Anti-emetic and Anti-proliferative. A degradation of the THCA compound created when THC is exposed to oxygen and light. Coupled with THC, CBN can increase the psychoactive effects and has even been known to have sleepy or groggy effects. A cannabis compound with significant medical benefits, but no psychoactive effects known as CBD. Commonly used to relive inflammation, pain, anxiety, psychosis, seizures, spasms, and other conditions. No two patients are the same. Because of that, GreenPharms grows a large variety of quality cannabis in order to have an option for anybody that walks in the door. Ask our knowledgable bud-tender’s about any strain to get a detailed breakdown of what you are purchasing. If you questions, feel free to submit a form and someone from our support team will be in touch with you shortly. If you need help now, click the link below to contact us immediately! LET OUR PATIENTS TELL YOU! AMAZING ATMOSPHERE AND TENDERS. They do amazing deals. when I went for my first time I spent 20 dollars and left with 4 grams of flower and some other little goodies. Carra my bud tender was super nice and informative I will be back here again no doubt about it. ???? Greenpharms Mesa is my favorite Dispensary in Arizona! I “highly” recommend stopping by if you are in the area, you won’t be disappointed! Great daily specials, quality buds and lots more. Go Green! ???? Dude I think this dispensary is the sh*t man I’ve been to a lot of them I took like a thirty minute drive to get there and when I got there I got the best customer service I have ever seen with a dispensary I got great deals all the staff are great didn’t wait long the best quality flower I have seen in a while wax is great so are the carts help me medicate well I appreciate the services very much will return for sure! greenpharms is an awesome dispensary! great location just off the 60 & power. they have quick ez check-ins & short wait times. the bud tenders are terrific, very helpful. gotta love the daily specials, especially week day happy hour! id highly recommend greenpharms to everyone!! Greenpharms is awesome! They always have the best deals for whatever you are looking for. Definitely going back.